Are you going on holiday abroad soon and need to apply for a passport? Logithèque provides you with all the documents and applications to download in order to save time and help you with your administrative procedures. Your identity card is about to expire and you need to renew it? Discover our article about the documents to download for an identity card request soon. Not all these documents are systematically requested from you, of course. Depending on the information he already has about you, your situation, and the validity date of the identity documents you can already provide, the State will ask you for several of these documents. First thing to fill out properly for your appointment at your city hall for your passport or identity card application: the Cerfa form, or the online pre-application. This is essential for any request for identity papers. The form you fill in will allow you to enter your personal data related to your identity, or that of your child if you are applying on behalf of a minor. Your personal data: name(s), first name(s), nationality, date and place of birth, current address, e-mail address, telephone, etc. The personal data of your parents: surname(s), first name(s), nationality(ies), dates and places of birth. If possible, the number of your old passport if you had one. Do you prefer the good old paper? Here is the CERFA form, available for download, which will open a web page in a new tab. 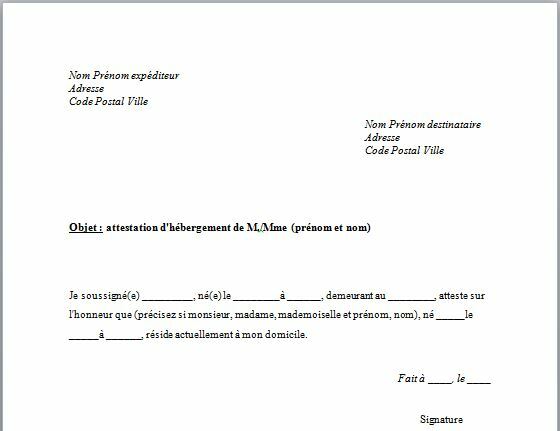 Please note that the CERFA document must not be filled in by hand: it must be filled in online, not to mention any dashes or accents. In the case of the online pre-application, you will need to create an ANTS account. The National Agency for Secure Documents is the public body in charge of issuing identity documents: it is secure and, once the account is created on their website, you can enter your interface and complete an online pre-application for your passport. The online pre-application replaces the CERFA and becomes mandatory if you prefer to provide a dematerialized rather than a physical tax stamp. This document is essential to the State, whether you make your passport following a renewal, theft or for the first time, in the same way as the tax stamp or the recent identity photo. A water, electricity or electricity bill or a subscription in your name allows the State to ensure that you live at the address you have indicated. If you live with your parents or a relative, and you do not have a proof of residence in your name, you must ask the person with whom you live to write a certificate of accommodation. The one we offer you for free download in Word format is fully compliant. You can complete it directly on your computer before printing and signing it. This certificate of accommodation will be added to your passport or identity card application file with the other documents requested. Another document to provide: a birth certificate less than 3 months old. It is essential when you do not have valid or expired official documents for less than 5 years, in order to prove your nationality. To do so, simply connect to the official website Service-Public.fr and fill in the form online. You can then save it in PDF format and send it directly by email to your local birth office, this time, which will send you after a few days your birth certificate by post. You are not required to provide an original paper document to the public body if you were born in a city with a dematerialized civil status. 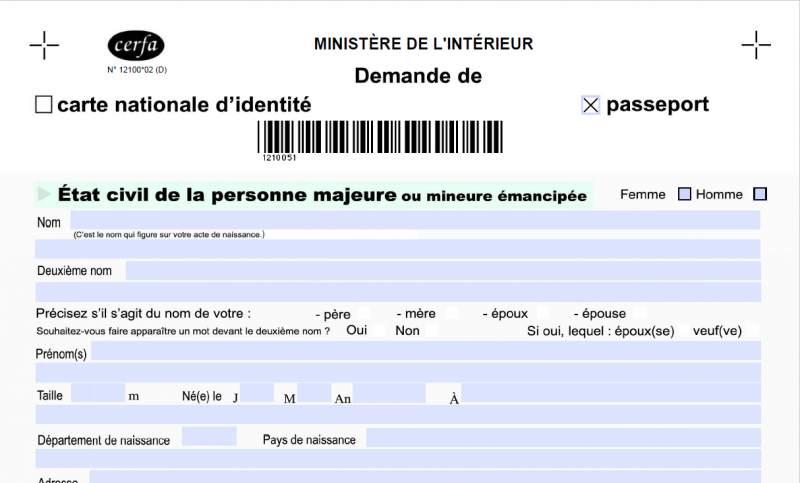 Be careful, if you were born abroad, the birth certificate is not enough to prove your French nationality, in this case you will have to provide proof of French nationality. Finally, last but not least, do not forget that your passport or identity card application will be rejected: the tax stamp. To obtain it, there are two solutions: buy it in a smoke bar, hoping that it will sell and that it will remain, or buy it directly on the Internet via the Taxes.gouv application. 17€ for under 15 years old, 42€ for 15-17 years old and 86€ for adults, this stamp corresponds to the price of your passport and must therefore be included in the application file. Be careful, if you opt for the dematerialized tax stamp, you are required to complete the online pre-application form, which replaces the Cerfa document presented at the beginning of the article.